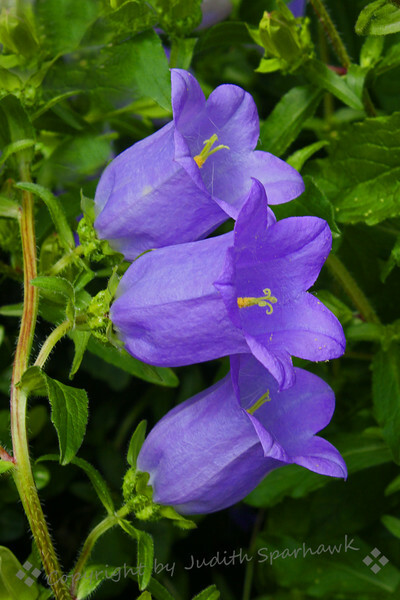 The Three Bells ~ I think these flowers are called Campanula. Whatever they are, they are beautiful, and the honeybees thought so too. They were busily buzzing in and out of these deep flowers, and were fun to watch.